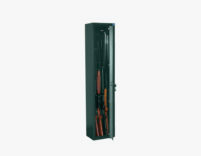 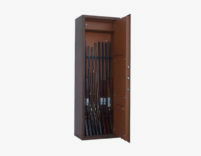 The PFRLCV T cabinets of the Wood line were created as a system for the correct storage of your guns. 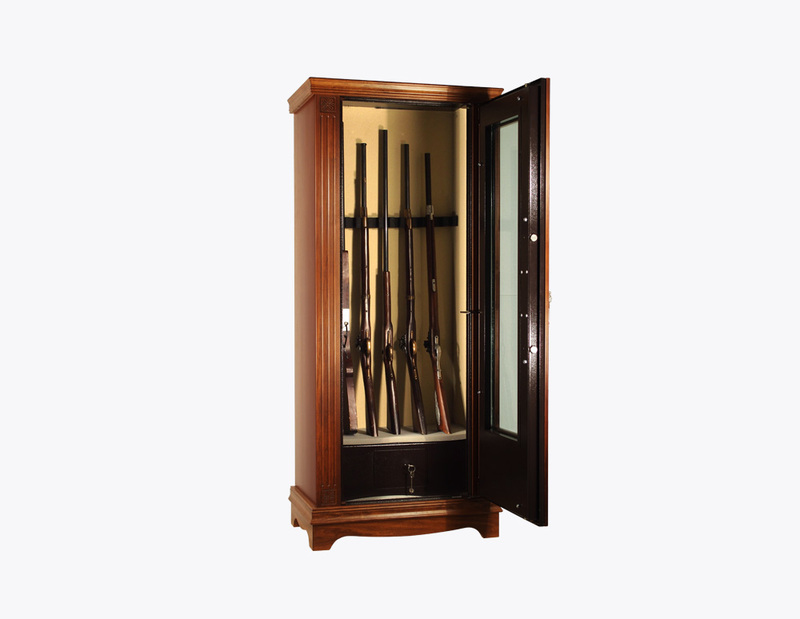 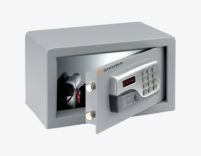 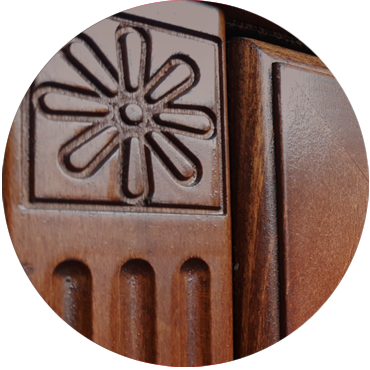 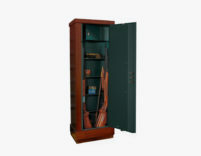 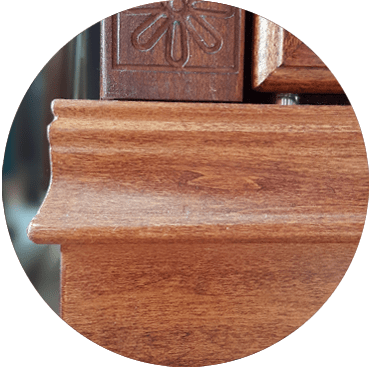 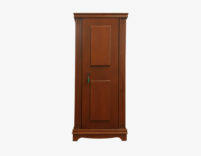 The look of the furniture with a iron heart in a safe with precious wood covering and certified glass. Laminated safety glass thickness 20.5 mm – EN 1063 EN 356.